The DALI LEKTOR series is the proud heir to nearly three decades of dedicated research and development by one of the world's leading loudspeaker builders. Inheriting exclusive DALI features, technologies and materials developed for the famed EUPHONIA, HELICON, MENTOR and IKON series, DALI LEKTOR is particularly inspired by DALI IKON, applying experience and design principles acquired during the creation of that multi award winning series to bring world-renowned DALI performance to a highly attractive price point. The 28 mm soft dome tweeter offers excellent dynamic capabilities, exceptional headroom, high power handling and reduced power compression. The mid/bass drivers incorporate coated wood fibre cones for enhanced rigidity and reduced mass. Their lightning-fast response maintains the integrity of even the subtlest, low-level musical nuances. Shallow front grilles ensure minimal edge diffraction and reflections. LEKTOR 8 and 6 grilles can be reversed to high light the high frequency driver. The gold-plated binding posts accept bare wire ends and 4 mm banana plugs and are mounted directly on the crossover. "- Tons of fun and a breath of fresh air. This is how the American music, gear, and style magazine TONEAudio characterizes the DALI speakers in their October 2010 issue." "We are proud to announce that DALI LEKTOR 1 got the prestigious "WHAT HI-FI? , BEST STEREO SPEAKER AWARD 2008" in it's priceclass." "The Norwegian HiFi Magazin gives LEKTOR 8 a warm welcome." As the flagship of the LEKTOR series, the DALI LEKTOR 8 fills well both in size and sound, and with the LEKTOR 8 you get true hi-fi quality, whether you’re playing quiet jazz or punchy techno. 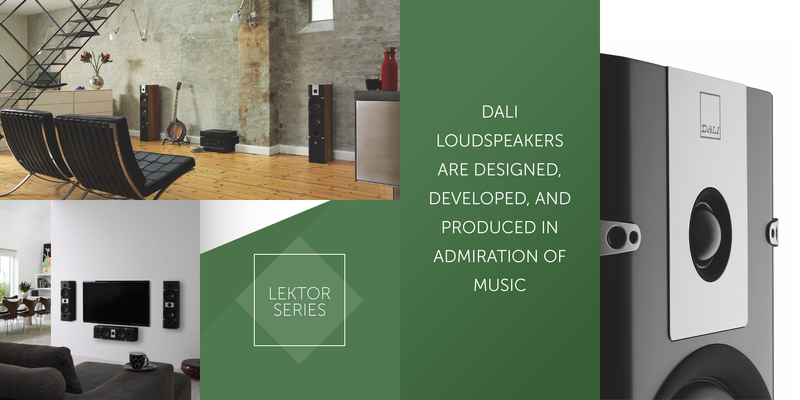 The DALI LEKTOR 6 is a universal loudspeaker providing you with complete quality and great sound. DALI LEKTOR 6 is a unique combination of enclosure, drivers and crossover to form a seamless musical system. You find the largest compact model in the LEKTOR series in the DALI LEKTOR 3. This bookshelf loudspeaker gives you a clean sound supported by a great bass and good dynamics. The DALI LEKTOR 2 is a very compact loudspeaker that handles all types of music, and can be placed both on the wall, on a shelf and on a rack. The LEKTOR 2 is suited as front speakers in your home cinema setup as well as your music stereo system. 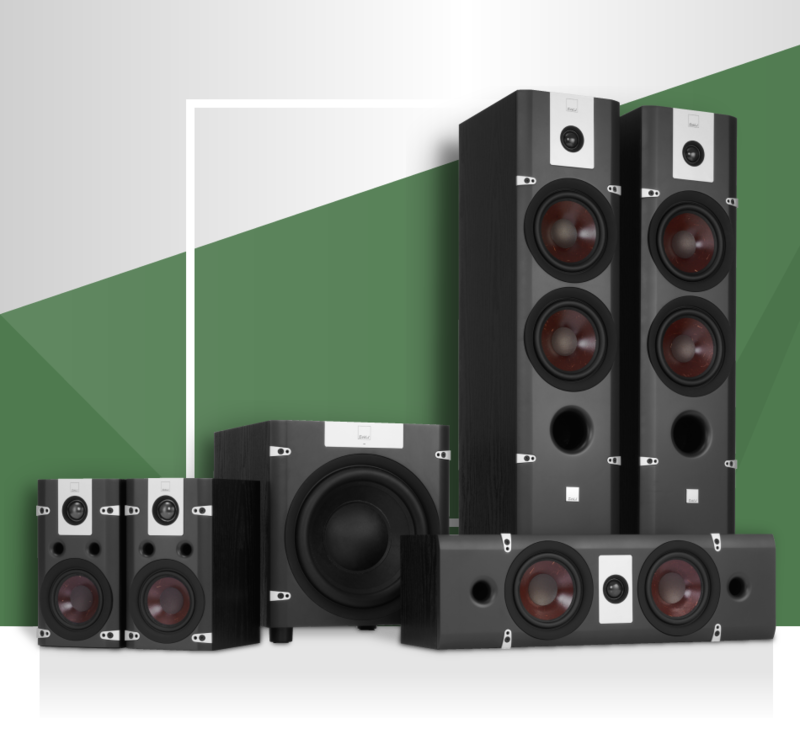 The DALI LEKTOR 1 is a true energy bomb, which without any problems can fill out a smaller room with true hi-fi sound. A perfect fit for any bookshelf in your stereo music room or home theater. 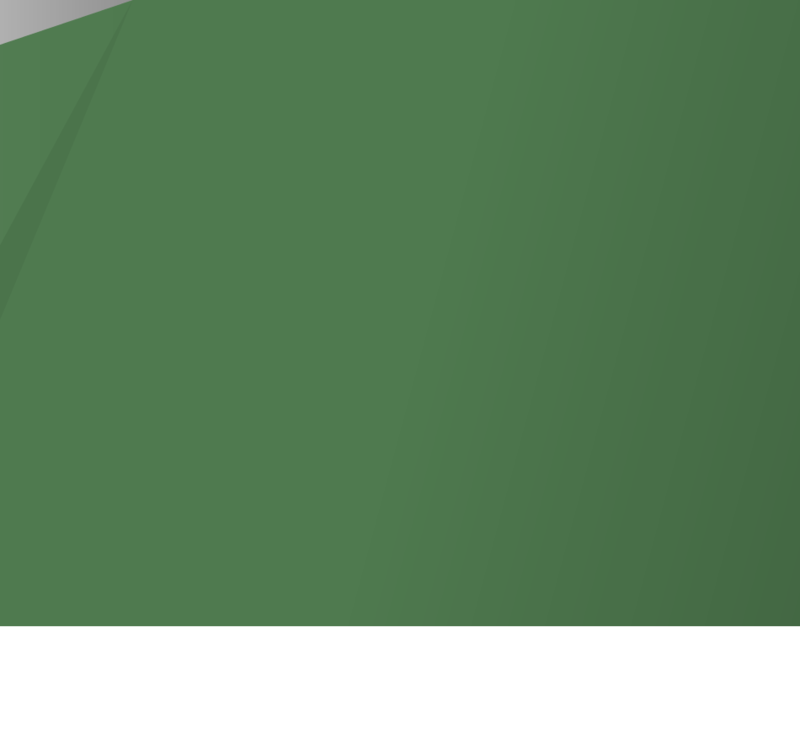 The DALI LEKTOR LCR is a compact loudspeaker and is perhaps the most versatile loudspeaker in the series, LEKTOR LCR is suitable for vertical placement as left/right front or rear or for horizontal positioning as a dedicated center channel speaker.